Who is eligible for a Prior Learning Assessment? Anyone who is enrolled as an LCCC student is eligible to earn college credits. The key component of any prior learning experience is not the experience itself but the LEARNING that has been achieved. Some students come to college having experience in a field or knowledge from independent study. Work, community service, and service in the military are typical areas where knowledge gained may be assessed for college credit. PLA allows students to accelerate their degree and avoid the repetition of coursework for material they have already mastered. You may be eligible for credit for the demonstrated mastery of skills or competencies though work experience. When can you apply? NOW! Complete the PLA interest form to begin the assessment process. 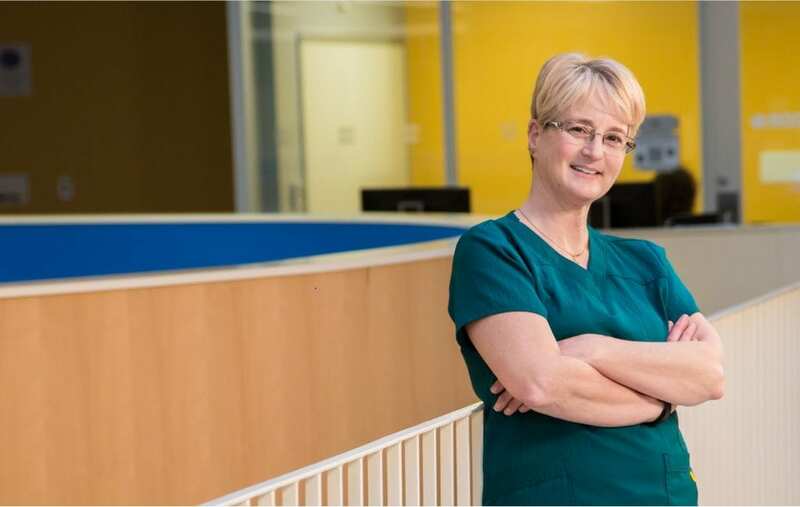 Medical assistant Sherry Lupica was awarded 19 credit hours in prior learning which, in addition to her supplement courses previously taken, allowed her to quickly complete her certificate, saving her both time and money. Read Sherry’s story. **Please be aware that prior learning credit awarded at Lorain County Community College may not be applicable to certificates or degrees at other colleges or universities. A student who intends to transfer to another college or university should consult with a transfer advisor at that institution concerning the transferability of LCCC prior learning credit. You may be able to reduce the amount of time it takes to complete a certificate or degree by using the learning you received while in the military to earn college credit! Please order a copy of your Military Joint Services Transcript or Air Force/CCAF transcript by visiting their websites and providing a copy of your DD214 to the Enrollment Services and Records offices. Complete the “Transcript Evaluation Request Form” and specify what documents (DD214, JST) you would like evaluated for military as well as previous college transcripts. Turn this in at the Enrollment Services front desk. To determine how your training translates into course credit at LCCC, please follow the step-by-step process indicated through the Ohio Department of Higher Education’s Military Transfer Assurance Guide website. Learn more about our Veteran’s Services Department. You may be able to earn college credit by participating in CLEP, Divisional Proficiency, or Professional Exams. LCCC awards credit for appropriate scores on the nationally-recognized CLEP exams. To receive credit for CLEP, submit your scores to the Registration and Records Office. There is no charge to post this credit. The College Board provides study and review resources for CLEP exams on their website. Test takers are encouraged to visit this site to review the study tips, test samples, study resources and exam day information. Some LCCC courses are available for credit by way of an internal proficiency or “test out” procedure. Proficiency exams are designated as credit by exam on the transcript credit. There is no refund for failed exams. If you have mastered a skill or competency through the completion of nationally recognized professional exams, you may be eligible for credit related to your LCCC degree or certificate requirements. Students may be eligible to receive credit for an LCCC course or group of courses related to the skills or competencies tested on the exam. Credit awards are based on the American Council of Education recommendations. The development and evaluation of a PLA Portfolio is a means of converting knowledge or expertise into college credits. Credits may be awarded if LEARNING corresponds directly to a course currently offered at LCCC. The required documentation varies from course to course but may include samples of your work, an essay explaining your experience and knowledge or certificates showing successful completion of workshops or seminars. When you pursue PLA Portfolio credit, LCCC will help guide you through the process. Faculty and staff members will assist you with determining which courses best fit your skills and help you develop your portfolio. Once completed the portfolio will be reviewed to determine what credit(s) have been granted. Lorain County Community College offers a free e-Portfolio path to showcase your learning. To learn more please visit Fast Path Ohio. Are you already an IT professional? Convert your IT qualifications, experience and professional certifications to college credit with our Validate IT courses. Take advantage of these opportunities to earn credit while still in high school. LCCC awards credit for appropriate scores on nationally-recognized Advanced Placement (AP) exams. To receive credit for AP, submit your scores to the Registration and Records office for evaluation. There is no charge for the posting of Advanced Placement Credit. The College Credit Plus Program offers a unique opportunity for students to enhance and further their educational and career objectives while still in high school. CCP students can earn college and high school credit concurrently, accelerating their college careers at no cost. Credits are easily transferable to public and private universities nationwide. College Tech Prep is a program of study that begins in a student’s junior year of high school or Career Center, and continues at Lorain County Community College. College Tech Prep allows students to earn credits toward their college degree while they’re attending high school. Find out more information on Internships and co-ops as well as job search assistance available to you! Complete the PLA interest form to begin the assessment process. In addition, please visit Fast Path Ohio for more information on how to begin using a FREE e-portfolio! If you have any questions, please contact Carrie Delaney, PLA Coordinator at 440-366-4076.